Lightning bolts, from the storm that was headed our way. 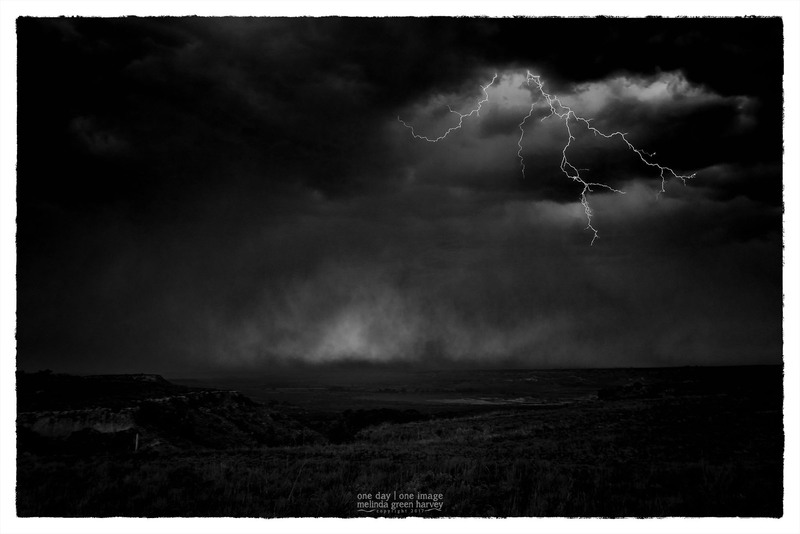 Posted on August 22, 2017, in Photography and tagged 365 photo project, black and white photography, learning to see, lightning, lubbock, lubbock texas, melinda green harvey, monochrome, one day one image, photo a day, photography, postaday, summer storm, texas, thoughtful seeing, yellowhouse canyon, yellowhouse canyon texas. Bookmark the permalink. 10 Comments. I made a LOT of shots that didn’t have any lightning…but all I needed was one that worked! I’m jealous-again ! Was this shot luck ? Did you use one of those devices that detects lightning and trips the shutter? My friend Brett Erickson says, “Luck favors the prepared.” I was taking long-ish exposures, one after the other, figuring that eventually luck would land on my side. I had to stop pretty soon after this picture was made – the wind was very strong, and I was worried about my camera/tripod.